Fredrick “Fred” E. Mossburg, 87, of Sharpsville, went home to be with the Lord at 3:16 pm Sunday, February 3, 2019 at St. Vincent hospital in Kokomo. Fred was born May 6, 1931 to Harry and Mary (Rupley) Mossburg. He married Beverly K. Wehlage and together they celebrated 66 years of marriage. 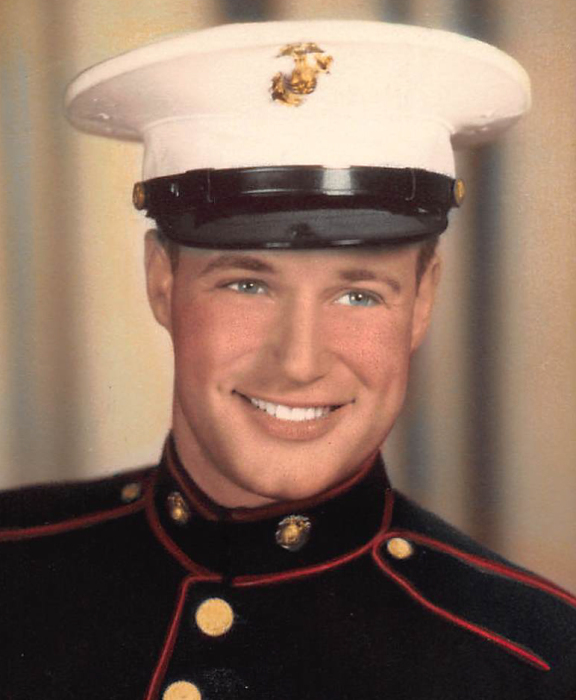 Fred graduated from Ball State University in 1960 with a degree in Education; he served his county in the US Marines and also graduated from the U.S. Naval School in Port Hueneme, California. Fred also graduated from Christian Theological School, Butler University in 1973. Fred started his career in 1938 as a farmer; he later became a United Methodist Minister serving churches in Amboy, Sante Fe, and Sharpsville Indiana. He had a passion for History and enjoyed substitute teaching for Kokomo Center School Corp and Northwestern School Corp in Howard County. In 1972 he went to work for Delco Electronics as a computer test operator and inspector. He retired from General Motors April 1, 1997 with over 31 years service. Surviving family include his wife of 66 years, Beverly Mossburg of Sharpsville; son, Jerry Mossburg, Sharpsville; daughter, Sabrina K. Mossburg, Sharpsville; and granddaughter, Brianna Mossburg of Munster, Indiana. Fred is also survived by one brother, Harry Mossburg Jr. of Greentown and is preceded in death by his parents and two sisters, Nora Lee Berry and Ione Thatcher.